John Joseph William Molesworth Oxley (1783/1785 – 1828) was a British explorer, naval officer, and surveyor of Australia in the early period of English colonization. Oxley was appointed surveyor-general of New South Wales in 1812, and retained that position until his death. He played an important part in the exploration of eastern Australia and also helped open up what is now Tasmania. Oxley is most famous for leading three expeditions across Australia. The first was with explorer George Evans, and lead an expedition to follow the Lachlan River. The second expedition was to trace the course of the Macquarie River. The third expedition led to the discovery of what Oxley named Brisbane River. When Paterson allowed the deposed Governor Bligh to leave Sydney aboard the Porpoise in March 1809, Oxley was aboard and sailed with Bligh to the Derwent. The next year, he wrote a lengthy report on the settlements in Van Diemen's Land before sailing for England on the Porpoise in May. In London, he applied for the post of Naval Officer in Sydney, and then, after paying C. Grimes to resign, according to John Macarthur, he twice sought that of surveyor-general. Oxley denied that he had been a partisan of Macarthur when Bligh was deposed, but his letters show that he was on very close terms with the rebel leader. In 1812, he became engaged to Elizabeth Macarthur; this was broken off when her father discovered the extent of Oxley's debts. By that time, through the influence of Macarthur's friend Walter Davidson, Oxley's second application for the surveyor-generalship had been successful. Oxley again returned to England and in January 1812, he was appointed Surveyor-General of Lands in New South Wales. In April 1815, he was with Governor Macquarie when Bathurst was founded. In March 1817, John Oxley was instructed to take charge of an expedition to explore and survey the course of the Lachlan River. He left Sydney on April 6, with George Evans as second-in-command, and Allan Cunningham as botanist. Evans had discovered a portion of the Lachlan River west of Bathurst in 1815. Oxley’s party reached Bathurst after a week, where they were briefly detained by bad weather. They reached the Lachlan River on April 25, 1817, and commenced to follow its course, with part of the stores being conveyed in boats. As the exploring party traveled westward, the country surrounding the rising river was found to be increasingly inundated. On May 12, west of the present township of Forbes, they found their progress impeded by an extensive marsh. After retracing their route for a short distance they then proceeded in a south-westerly direction, intending to travel overland to the southern Australian coastline. By the end of May, the party found themselves in dry scrubby country. Shortage of water and the death of two horses forced Oxley’s return to the Lachlan. On June 23, the Lachlan River was reached: “we suddenly came upon the banks of the river… which we had quitted nearly five weeks before.” They followed the course of the Lachlan River for a fortnight. The party encountered much flooded country, and on July 7, Oxley recorded that "it was with infinite regret and pain that I was forced to come to the conclusion, that the interior of this vast country is a marsh and uninhabitable." Oxley resolved to turn back, and after resting for two days, Oxley’s party began to retrace their steps along the Lachlan River. They left the Lachlan up-stream of the present site of Lake Cargelligo and crossed to the Bogan River and then across to the upper waters of the Macquarie, which they followed back to Bathurst (arriving on August 29, 1817). Oxley traveled to Dubbo on June 12, 1818. He wrote that he had passed, that day, "over a very beautiful country, thinly wooded and apparently safe from the highest floods…." Later in 1818, Oxley and his men explored the Macquarie River at length before turning east. On August 26, 1818, they climbed a hill and saw before them rich, fertile plains, which they named the Liverpool Plains. Continuing east, they discovered the Peel River, near the present site of Tamworth. Continuing further east, they crossed the Great Dividing Range and came upon the Hastings River. Following it to its mouth, they discovered that it flowed into the sea at a spot which they named Port Macquarie. In 1819, Oxley sailed to Jervis Bay, but found it to be unsuitable for settlement. In 1823, Oxley set out northwards along the coastline, in the cutter Mermaid to explore Port Curtis (the site of Gladstone) and Moreton Bay. He continued to explore the region, which is now known as South East Queensland. In 1824, Oxley, accompanied by Allan Cunningham, discovered the Brisbane River and Bremer River on Moreton Bay, which has since developed into the city of Brisbane. Governor Lachlan Macquarie granted him 600 acres near Camden in 1810, which he increased to 1000 acres (4 km²) in 1815. He named this property Kirkam and raised and bred sheep. He was also briefly a director of the Bank of New South Wales. He was one of five members of the original New South Wales Legislative Council in 1824, but was not reappointed when the council was reconstituted in 1825. 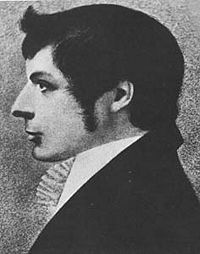 Oxley had two sons with Emma Norton, whom he married in 1821, and earlier two daughters by Charlotte Thorpe and one by Elizabeth Marnon. The Oxley Highway in New South Wales, Oxley Island, on the north coast of New South Wales, the Federal electorate of Oxley (Queensland), the New South Wales Electoral district of Oxley, the Oxley Wild Rivers National Park, and the suburbs of Oxley, Queensland and Oxley, Australian Capital Territory are named after Oxley. The John Oxley Library, part of the State Library of Queensland, is dedicated to preserving and making available Queensland's documentary history. ↑ John Oxley, Journal of an Expedition in Australia—Part 1. Retrieved October 11, 2007. Dunlop, Eric Wilfred. John Oxley. Melbourne: Oxford University Press 1960. This page was last modified on 21 May 2018, at 15:01.